Powers your company as well as your community. If you can align the larger passion of your community members with your community activity, then the passion and engagement of your members skyrockets. Marilyn Pratt brought real world data from Doctors Without Borders to her Data Visualization Hackathon aka Data Viz-a-thon one year. People were lining up to help out. One she brought real world data to the event. That makes it real, the problems you will stumble upon and solve are some that you may see again in your working life. It has not been randomly generated to teach a lesson. 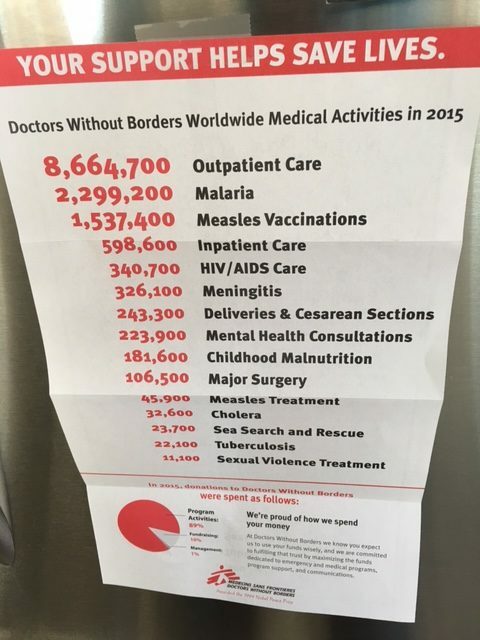 Two Doctors Without Borders is doing amazing stuff to help people in need all over the world. By helping them visualize their data better, they will be able to do a better job, aligning their scarce resources better going forward. One small step to make the world a better place. — Sign me up! It gave the event meaning. The day’s work was worth something beyond making money. It tapped into purpose and brought out the passion in people. Did Marilyn Pratt’s data viz-a-thon had an influence in creating it? Just the knowledge that it may have has been makes me smile. 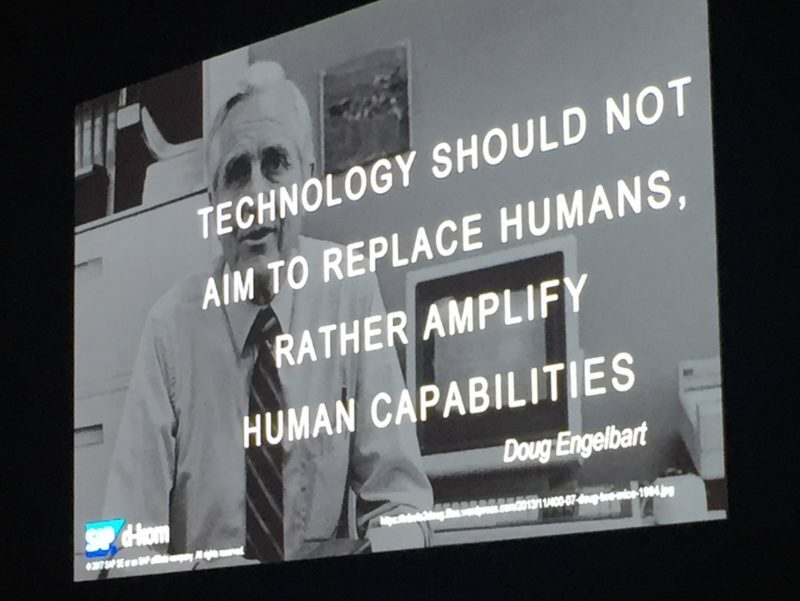 How Doug Engelbart’s purpose came to him and guided his whole life I’ll cover in another post. He was able to envision and prototype most of modern computing from it in the late 60s, culminating in the mother of all demos . If you can’t wait for it, check out this post that talks about it a little, or the video of one of his presentations at my Future Salon [Love the Internet Archive]. If you want to connect end engage the deepest with your community tap into their higher purpose – give the work greater meaning. The things you do in a community are usually in addition to your day to day work. The motivation to engage multiplies when there is a higher purpose. P.S. 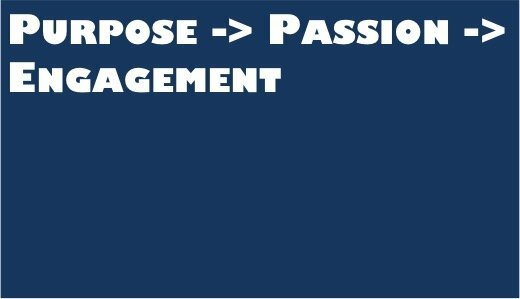 For me the insights of my friend Whitney Vosburgh and his co-founder Dr. Charles Grantham have greatly brought the Purpose -> Passion -> Engagement connection into focus. Check out their introductory pdf at Work the Future! Today.